What is Duration? It is important to understand that duration is a way of measuring how much bond prices are likely to change if and when interest rates move. In more technical terms, duration is measurement of interest rate risk. The key point to remember is that rates and prices move in opposite directions. When interest rates rise, the prices of bonds fall, and vice versa. The higher the bond’s duration, the more its price will fall as interest rates rise. 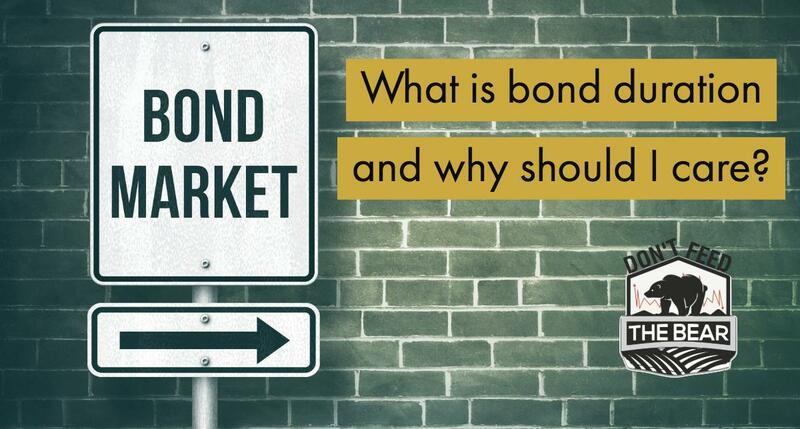 If interest rates are expected to fall during the time the bond is held, a longer duration bond would be appealing because its price would increase more than comparable bonds with shorter durations. As a general rule (with equal credit quality) the shorter the bond’s duration, the less volatile it will be. For example, a bond with a one-year duration, would only lose 1% in value if rates were to rise by 1%. In contrast, a bond with a duration of 10 years would lose 10% if rates were to rise by 1%. Conversely, if rates fell by 1%, bonds with longer duration would gain more while those with shorter durations would gain less. Why is Measuring Duration Helpful? Because every bond and bond fund has a duration, those numbers can be a useful tool that you and a financial professional can use to compare bonds and bond funds as you construct and adjust your investment portfolio. This is particularly important when interest rates are expected to rise or fall, as it may provide opportunities to invest or reasons to be concerned. Interest Rates Are Rising. What Does That Mean For Me? As we indicated before, rising rates mean that long duration bonds are set up to take higher losses than short duration bonds. For your own portfolio, you should also examine what type of bonds in each of your funds. Duration is one piece of the puzzle, but credit quality also is a factor in bond performance. Lower quality bonds generally pay higher interest rates but are also more susceptible to default or can recognize higher volatility. As an investor, you can rely on active managers to manage duration and/or credit quality, or you may choose to use index funds to get exposure to bonds. Should you choose to utilize index funds you should perform a deep dive into the portfolio statistics of the bonds including a view of the duration, credit quality, and type of the bonds. For most investors, bonds are a safe haven investment. Interest rates have been falling for a long time and only recently have been on the rise. Losing money in bonds is a foreign concept to many investors, which has caused many to take a closer look at what they own inside their funds. Ask yourself why you hold bonds and how you prefer to manage the risk in a rising rate environment. Work with a trusted professional to make sure you have the right amount of exposure for your financial situation.